In the mad Calangute market, we went looking for The Food Project, a little cafe started by two passionate foodies and home chefs. And we, for one, are grateful that the duo is now associated with food, instead of web development. The first thing that you notice is how refreshing the cafe looks in a sea of concrete. The sight of cute yellow chairs, wooden tables and the potted plants that dot this cafe look rather cheerful. Walk in, and you will meet Joystan and Yeovil, who will happily point you to their blackboard menu that might seem small but is super satisfying. Burgers, hot dogs, salads and appetisers are all they offer along with non-alcoholic beverages. For starters, their chicken wings were perfect (INR 180). Choose either BBQ or Korean-style wings and if you are a veggie then try nachos or chips that you can have with or without cheese. You can also pick their healthy salad options like green salad (INR 80), chicken salad (INR 180) or Greek salad (INR 150) that are all fresh and yummy. But because we aren't about making healthier choices and were too taken by all the praise their burgers had been getting, we got ourselves a beef BBQ (INR 200) that (to our delight) also had fried bacon, cheese, fried onions and a freshly made beef patty. We even tried the Chicken Cheese Burger (INR 150) which like the beef one, was all made in-house and had cheesy and delish flavours. Even the buns that they source are from a local poder (baker) from their village in Saligao. Same goes for the hot dog buns. 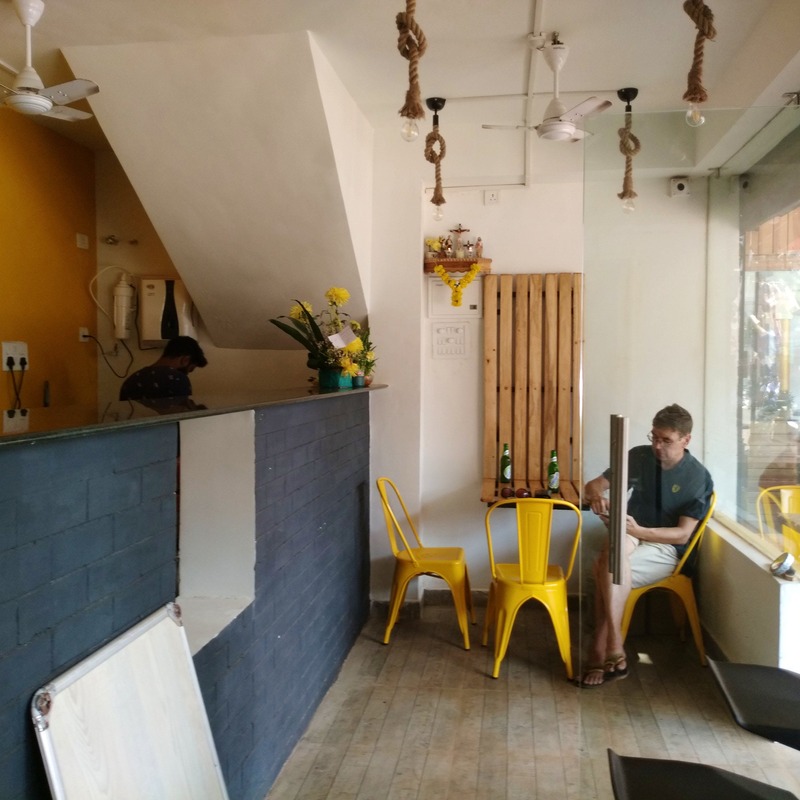 So, the next time you are in Calangute and looking for a quick bite that won't leave you broke, just pop in to The Food Project. When we went to The Food Project, there was a power cut, which meant that we had to make do with the side of salad instead of the fries. If you aren't happy about these small adjustments, you might want to seek another restaurant. Who doesn't love a beer with a burger? Now, though they don't serve alcohol, they allow you to pick up supplies from a wine store around (there are plenty in this market) and sip it with your food.